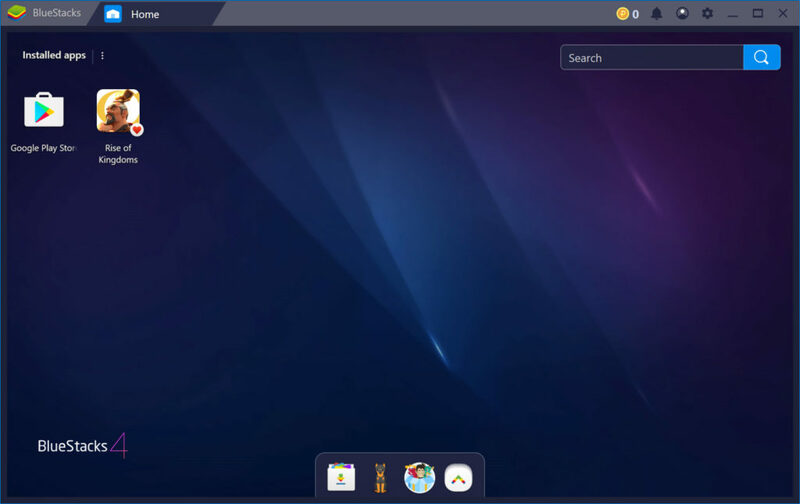 BlueStacks is an Android emulators that will create an Android virtual environment on your computer. 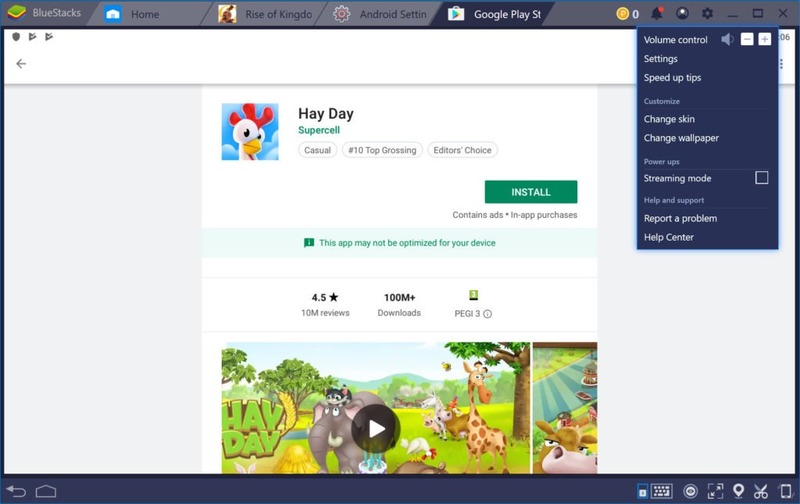 This environment will allow you to run you favorite games and apps such as Candy Crush Saga and also WhatsApp Messenger right on your desktop. This can happen independently, while you are working on your projects. This application will offer you a lot of options, and you will have the ability to connect to Amazon Appstore and also to Google Play. 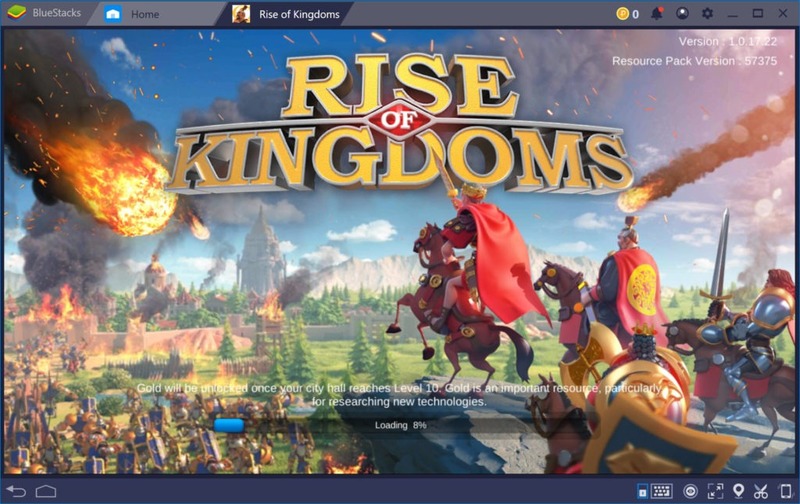 BlueStacks was mainly developed for games, and it will showcase different games as soon as you get the app. 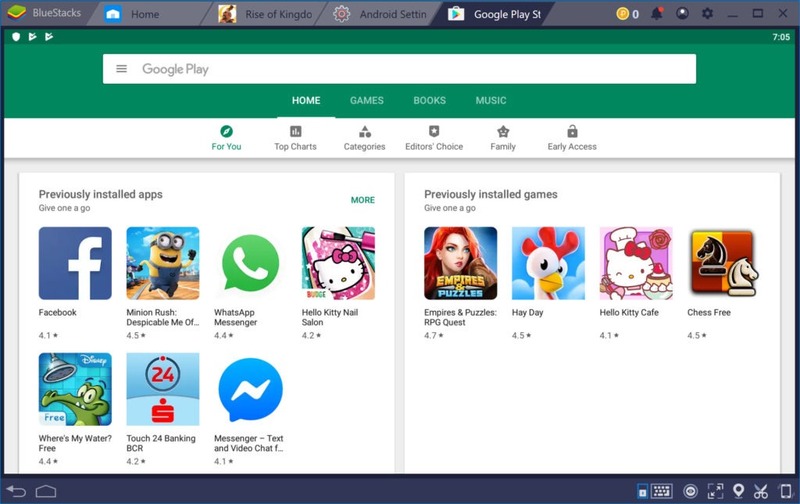 When you launch the program, it will be clear that this app focuses on games and instead of seeing the typical Android home screen, you will see rows of apps. You will notice that this app will be a customized Windows app which runs with Android programs in a fixed sized window or full sized one. You will have the chance to install all of the apps you want while using this tool out and all of the apps you can fit will be arranged alphabetically and cannot be arranged as you wish or grouped. You will get a limited number of recommended apps, and if you’re going to download a specific app, you will need to go to the markets and search for it. There won`t be a direct link to Google Play for browsing apps. The keyboard and the touchscreen input will feel that you are using an Android tablet. When playing games, this tool can turn out to be an excellent choice for any user. It may take a more extended period until it loads, but it will do the job pretty well, and it will let you use it with any game. Some of the additional features that this application includes are the syncing capabilities. It is not opening on my PC. There is a notification saying “This can’t run on your PC, check it in Windows Store”. Is there a way to uninstall some of the included games ? The Bluestacks Installer is big with 446 MB. But that is nothing compared to the Bluestacks Android Engine where the VDI files are over 3 GB in size ! I use it actually only to run ColorNote on my Windows laptop.